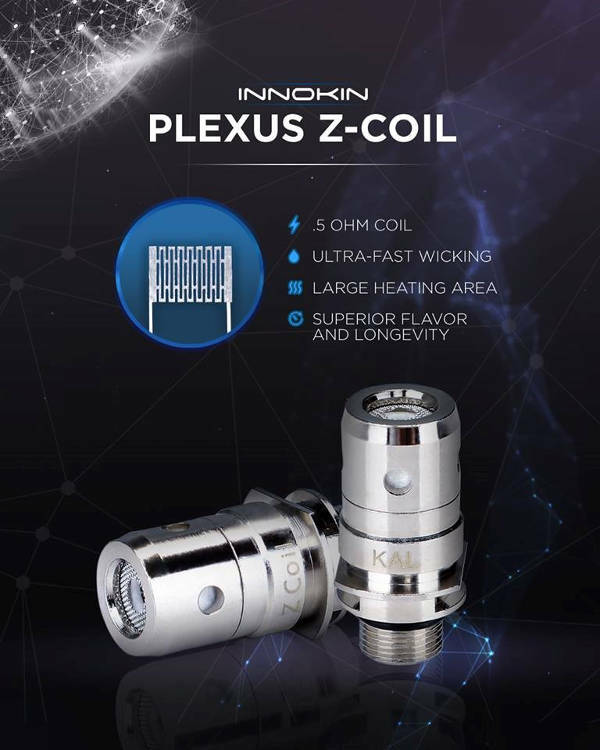 Innokin Zenith Plexus Z-Coil is the first MTL mesh type coil. With 0.5 ohm coil resistance, it's perfect for fast and even heating for Innokin Kroma-A Kit. Zenith Plexus Z-Coil has larger heating area and uniform E-liquid diffusion for its structure. The Kroma - A Zenith Plexus coils are for use exclusively for the Zenith vape tank, a tank designed in corroboration with Dimitris the Vaping Greek and Philip Bursado to ensure a straight forward mouth to lung replaceable coil-head atomizer. All-day vaping with excellent flavour.